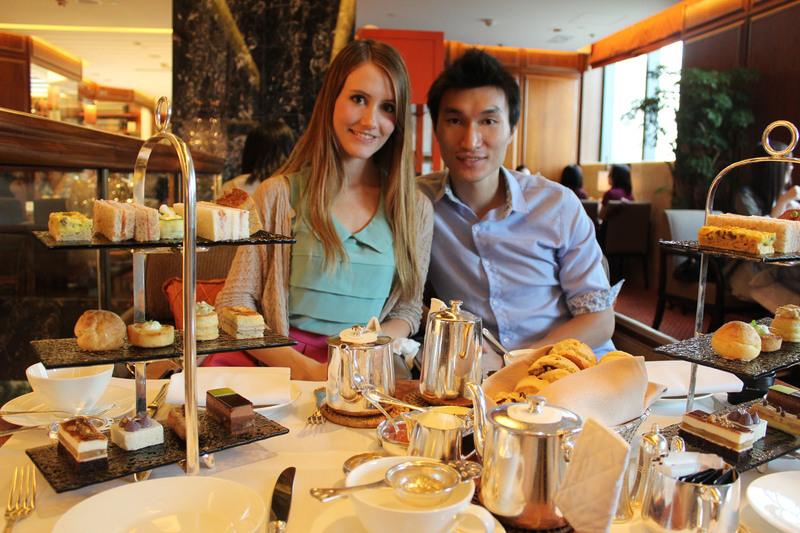 Last Sunday, as it's becoming a tradition for me, was high tea day. This time was high tea for a party of four, since my parents were in town. I wanted to take them to the Four Seasons, since I heard is the best high tea in Hong Kong. Unfortunately, by the time I called to make a reservation, they were fully booked and we were 8th on the waiting list! Needless to wait for a positive call, I called the Mandarin Oriental instead, where I got a table for four at the Clipper Lounge. It turned out to be a great decision, because it allowed me to discover what I think is the afternoon tea set with the highest food quality in Hong Kong. This tea set is an expensive one for sure, but the price is well worth it. 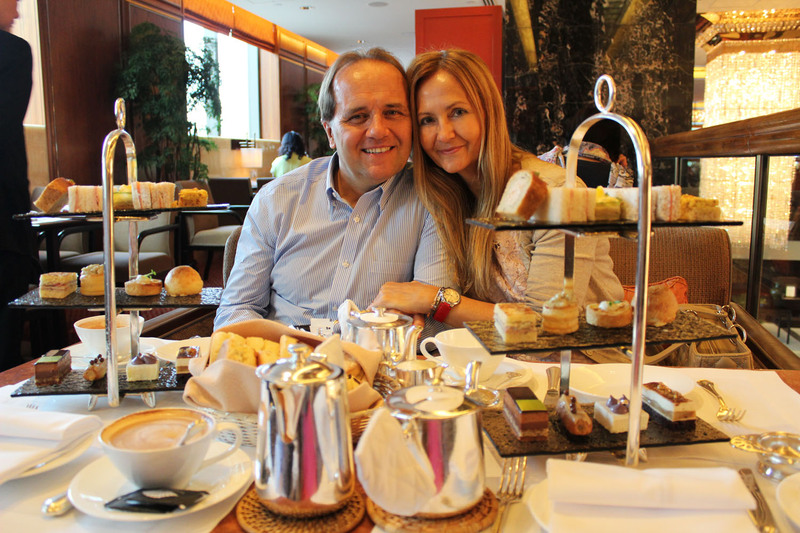 Every item in the afternoon tea set is a delicatessen made with the best ingredients. It was the first time I had a tea involving foie gras and black truffle among others, and I enjoyed every single bite. The set is a big one too, so you better come with a big appetite! As for myself, I couldn't get to finish the whole set. 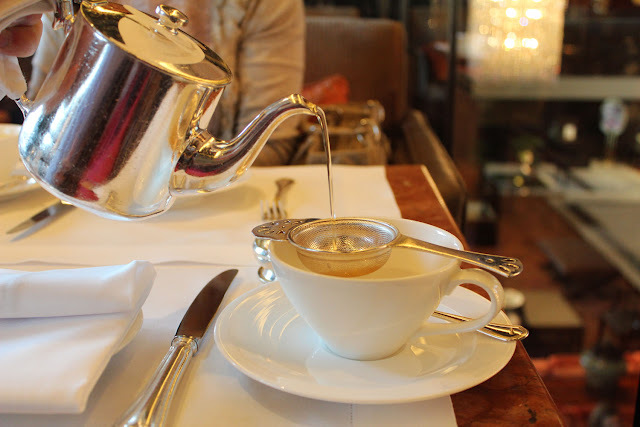 My tea choice was Mandarin Oriental's signature blend: "Taste of the legend", an oolong tea with vanilla, cocoa-caramel, flowers and orange that delighted me to no end! The tradition of Afternoon Tea was the creation of Anna, 7th Duchess of Bedford, who in 1840 decided that eight hours was more than one woman should reasonably be expected to wait for dinner, and instructed her butler to bring tea, bread and butter to her drawing room at 5 o'clock. Finding this repast ideal, she began to invite friends to join her for tea and nibbling daintily on slices of bread and butter. - A new social institution was born." And finally a glimpse at the couples and our two sets for two! 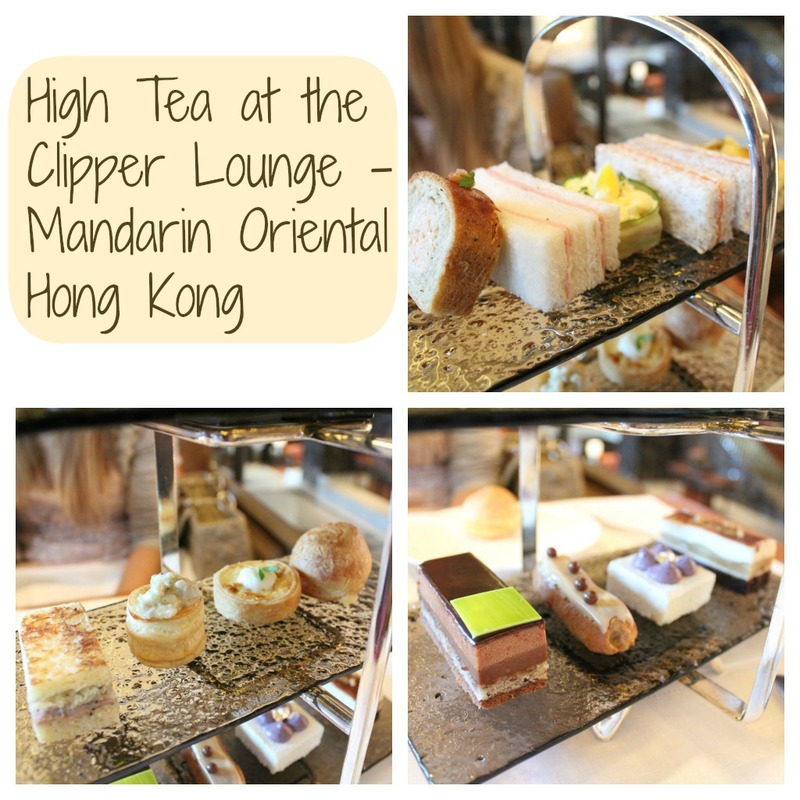 Mandarin Oriental's Afternoon Tea is served either at the Clipper Lounge or at Cafe Causette, located on the same floor. Since we go to Cafe Causette for lunch or dinner often, I booked a table at the Clipper Lounge this time, but both locations are perfectly fine. Would I recommend it? Yes, this is so far the best food I've ever had for high tea. Is that grey coloured glass or am I mistaken? 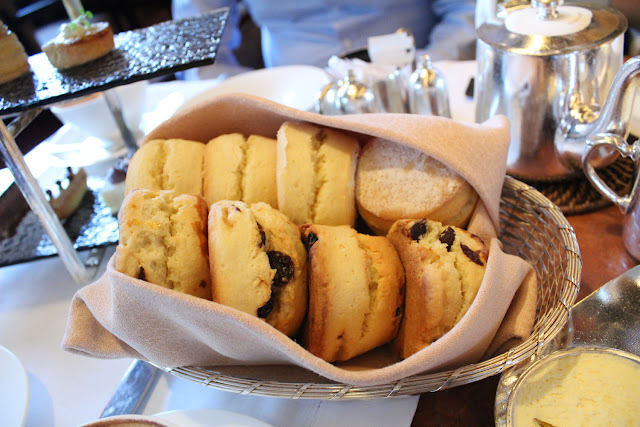 i really love scones and these are perfect aspect !! I love afternoon teas and that seems to be yummy! Oh my goodness, looks like so much fun! Cute blog! I love high tea. It's so fun to do it! Maybe if you want you can see my blog, and leave a massage if you want. The brownie was delicious. Everybody at home was in love to taste the brownie. Maybe if you want we can follow each other? So let me know.